Food and memories go well together and the Far East Café is rich in both. 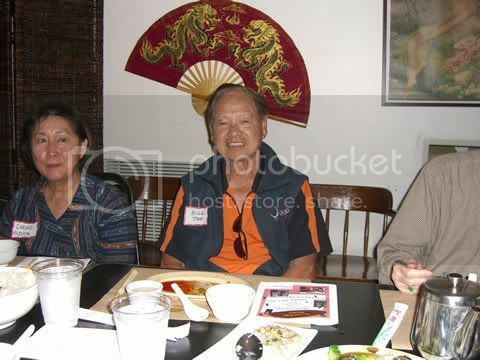 Last Saturday, Raymond Chong, an amateur historian, organized a reunion of the Far East Café, now called the Chop Suey Café. 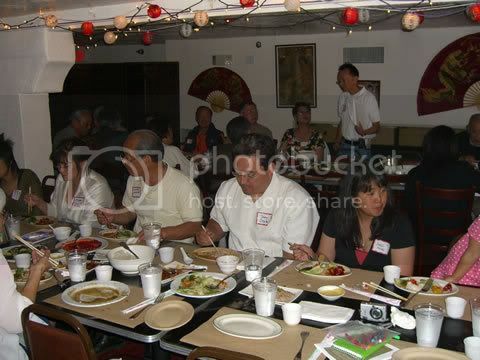 He brought together people who still remember family get-togethers to celebrate weddings and other special events over "China-meshi" as the Cantonese cuisine was called by Nisei. Raymond's father once worked at the café as a young man and took his future wife there on their first date. 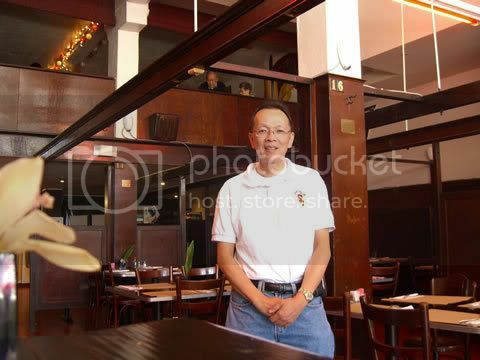 Uncovering his father's life history was what prompted Raymond to look deeper into the Far East Café's past. Raymond Chong inside the Far East Café, now called the Chop Suey Café. Part of the reunion was to eat a china meshi lunch with chop suey, sweet and sour pork, cha shu, pressed almond duck, bok choy and hom you. 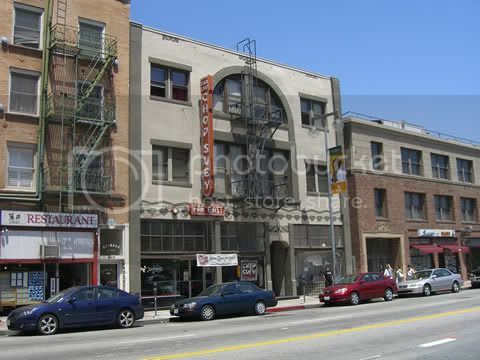 But the rest was dedicated to sharing memories of a place that was once the literal heart of Little Tokyo. One Nisei, George Wakiji, formerly of Pasadena, recalled, "After our return from internment from the Gila River Relocation Camp in the Arizona desert during World War II, I with my good friends played in the Nisei Athletic Union (NAU) softball and basketball leagues in the greater Los Angeles area. After the games on Friday evenings, we invariably stop in Little Tokyo and head for the Far East Café. We gorged ourselves on the best Cantonese cuisine." Bill Tong worked at the Far East Café in the 1940s. The old café closed after suffering damage from the Northridge earthquake in 1994. Thanks to efforts by the Little Tokyo Service Center, a new cafe opened that preserved much of the history. However, not everything stays as we remember it. "The cha shu was my favorite. This cha shu is covered in gravy. I liked the old cha shu better," lamented George. The Far East Café/Chop Suey Café is located at 347 East First Street. Sidebar: Along First Street, the opening dates of historical sites are written into the cement sidewalk. In front of the Far East Café, the date is listed as 1937. Ray Chong researched the building and discovered that it actually opened in 1935. Almost second day in Project: Community!